barely used, and like new items. Perry E. Crawford, 80, of Ellenton, died October 1, 2007. He was a Naval Veteran. He was preceded in death by his wife Henrietta and son, Allan. He is survived by his longtime partner, Darlene Roberts; sons, Patrick (Pattie Lockton) of Illinois , Michael of Michigan, Karl of Florida and daughter, Katherine (Jim) Aman of Michigan; and five grandchildren and one great-grandson. 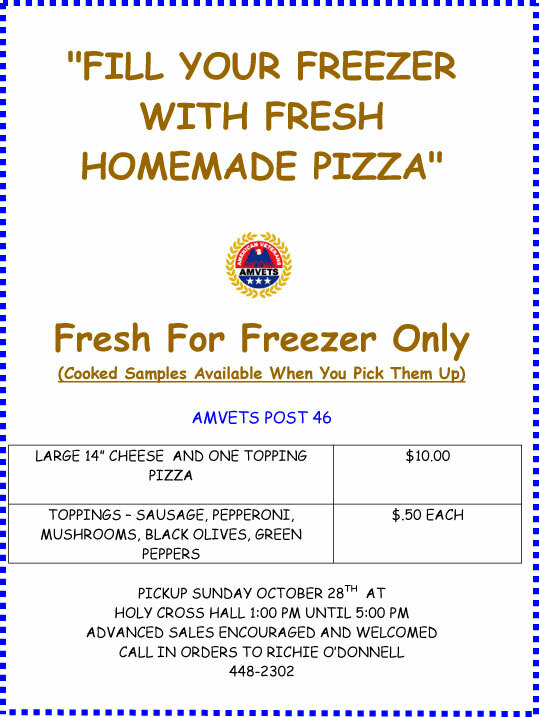 Services will be in Franklin , N.C. Published in The Herald on 10/5/2007. Perry and his family lived on the island in the 60's. Pat, Mike and Kathy still come to the island. The first correct response was from Jerry LaFreniere with the correct answer of Phil and Lil Gregg. 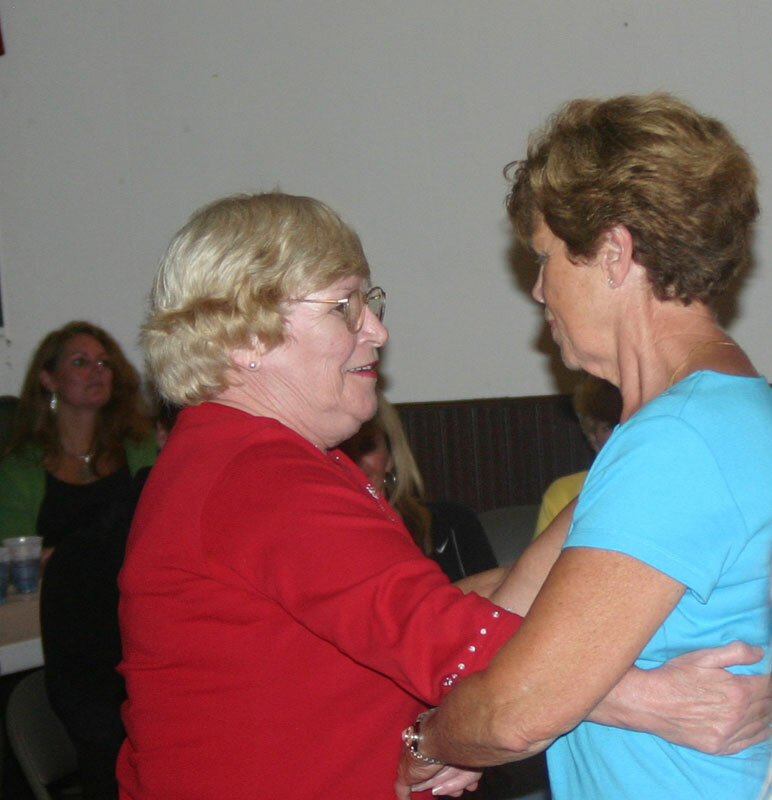 Kathy Speck and Mary Palmer were also correct, but Jerry beat them to the punch with the answer first. 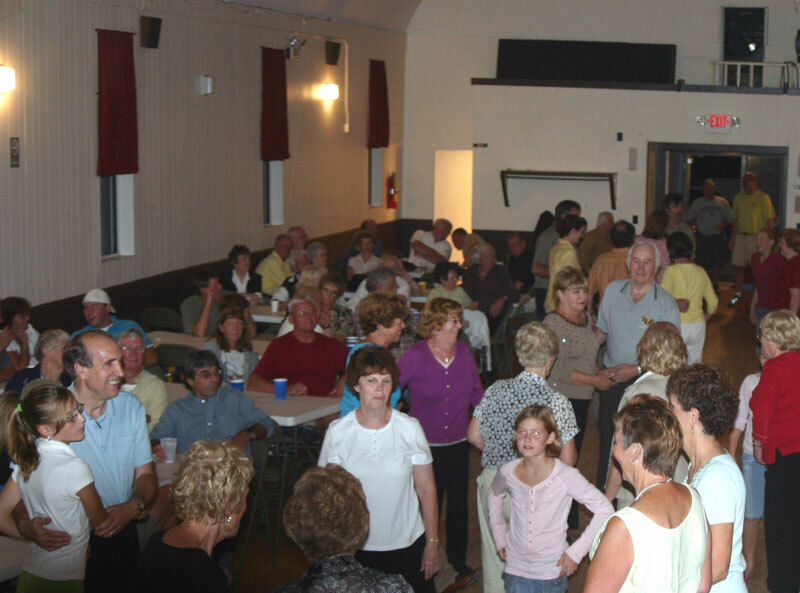 On Saturday beginning at 8:00 p.m. on October 6, 2007, there was a Hooley (Traditional Irish evening of music, dance and song) at Holy Cross Hall. 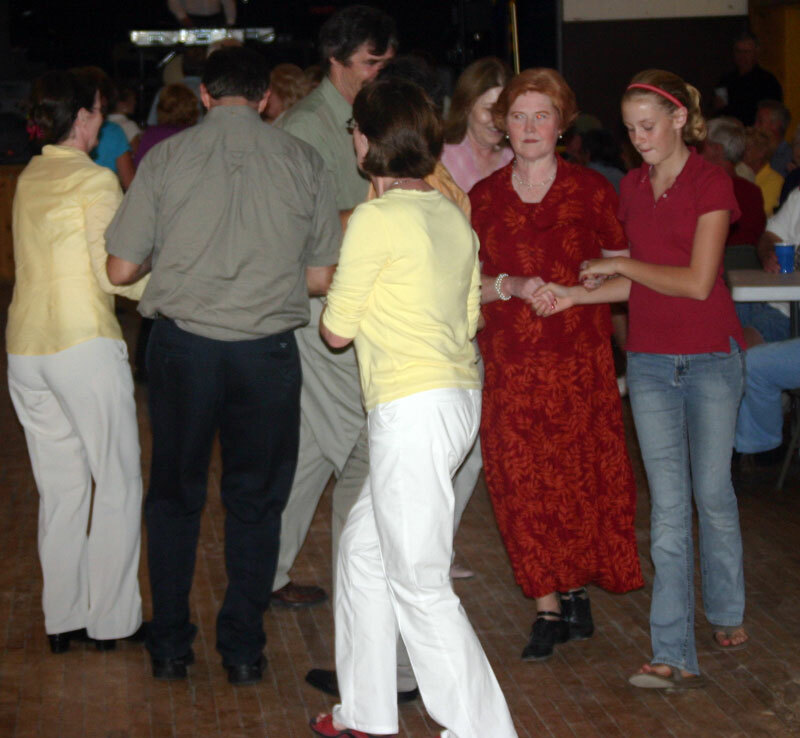 Various artists performed for the evening after County Donegal recording artist DJ Danny spun discs to learn dances by. 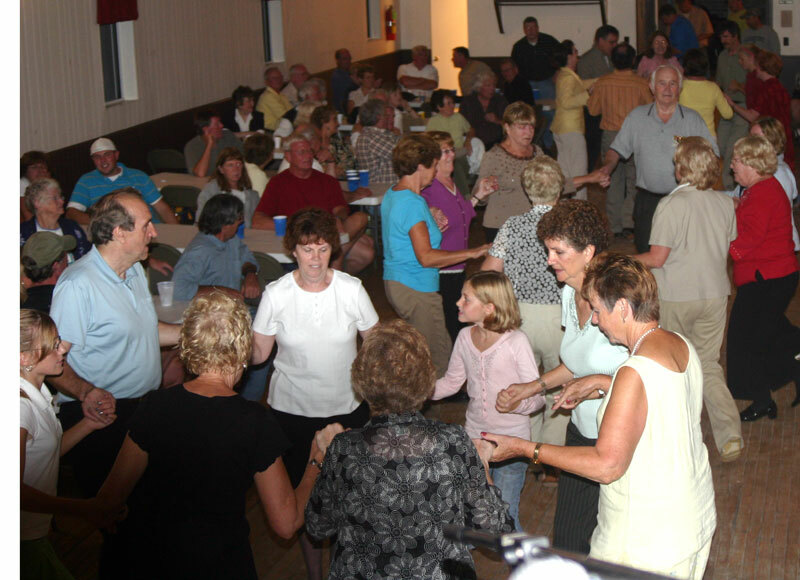 This local group performed at the Shamrock Bar while the Hooley was going on at the Holy Cross Hall. 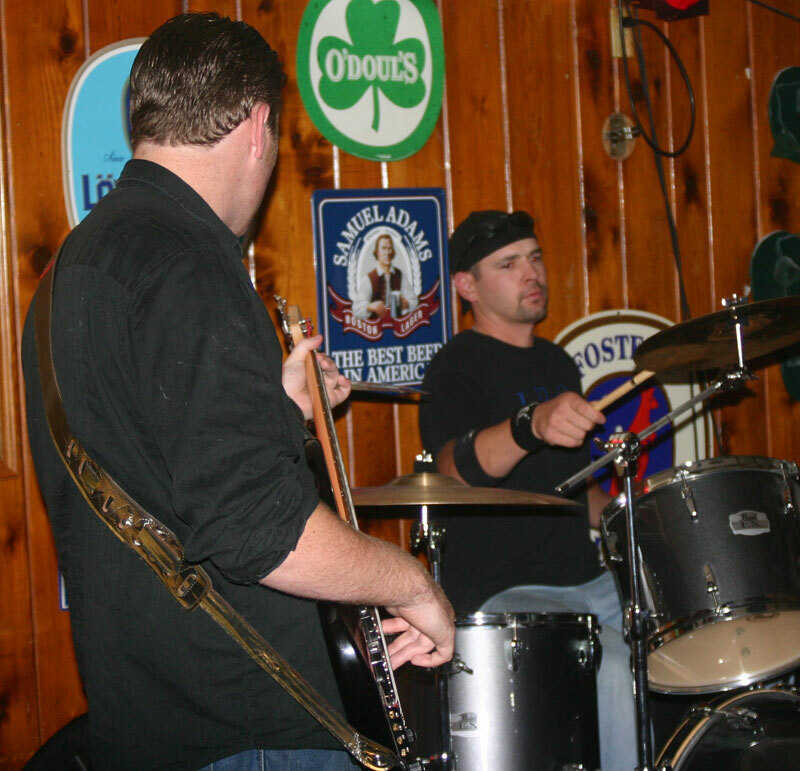 Another great group of musicians playing rock and roll and country rock. 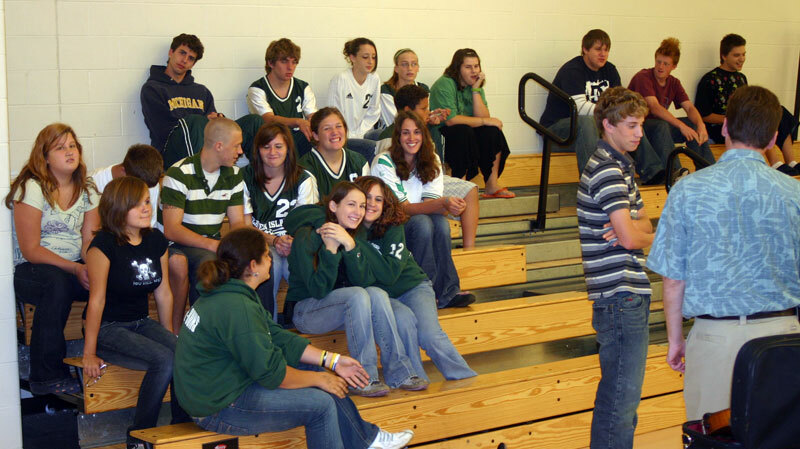 Students gathered in the gymnasium on Friday October 5, 2007, at the Beaver Island Community School for an orientation of the string instruments being offered through the Crooked Tree Arts Center 's string program which is funded by the Dorothy Gerber Music Program. Music Education Director, Robert Dudd, demonstrated the variety of string instruments that the students can choose from if they would like to participate in the program. 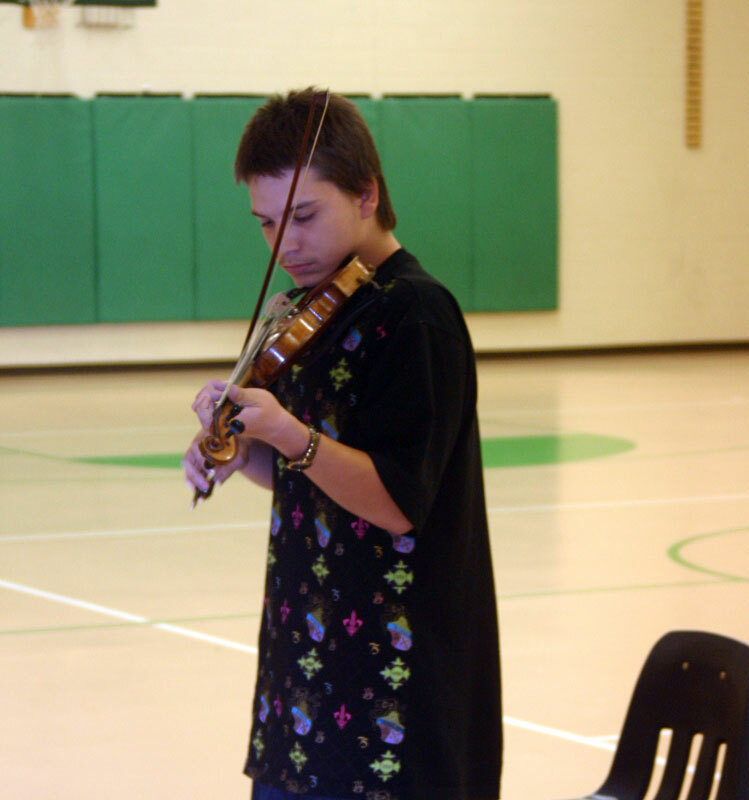 Classes are now offered to students at twenty different schools in northern Michigan where students can learn to perform on the violin, viola, cello, or double bass. 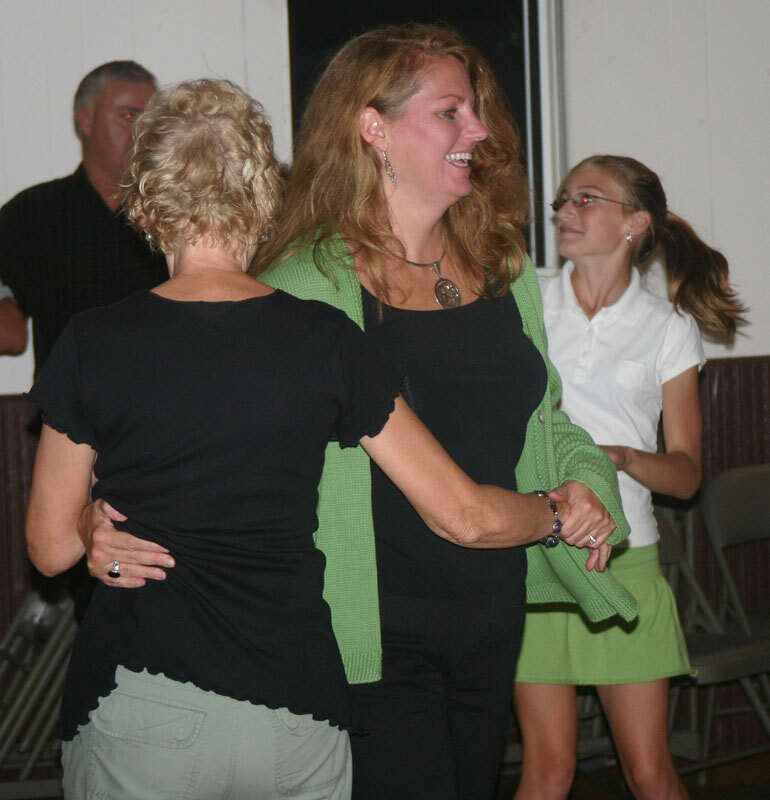 Assistant Director and new staff member of the Crooked Tree Arts Center, Jennifer McAndrew, will also be teaching in many of the schools and assisting Dudd with the Youth Orchestra rehearsals. McAndrew graduated from Eastern Michigan University in April 2004 with a B.A. in Music Education. 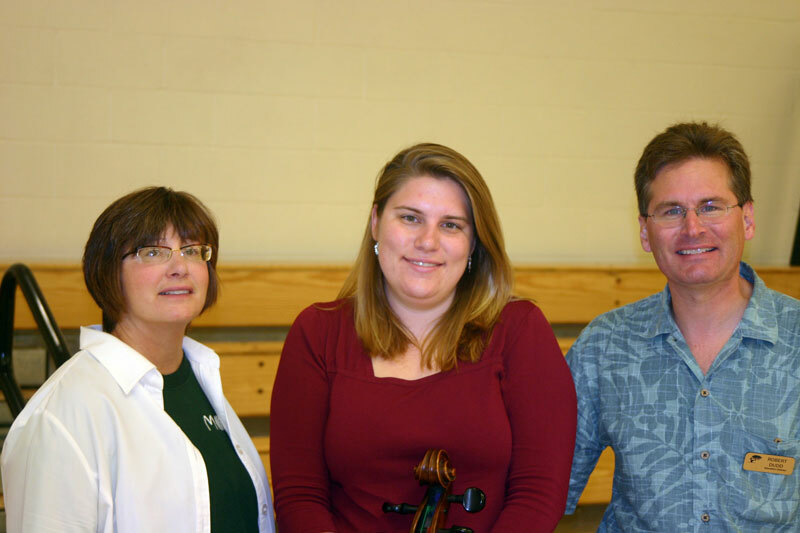 Recently, she was the Orchestra Director in the Fort Dodge Community Schools located in Fort Dodge , Iowa where she taught 5 th -12 th grade strings for the past two and a half years. 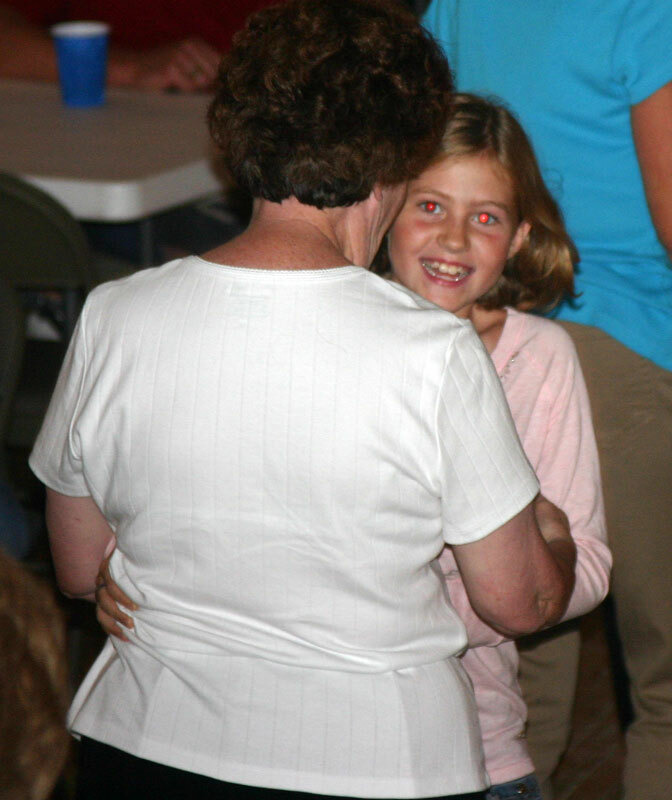 While in Fort Dodge , she also performed on violin with the local Fort Dodge Area Symphony. 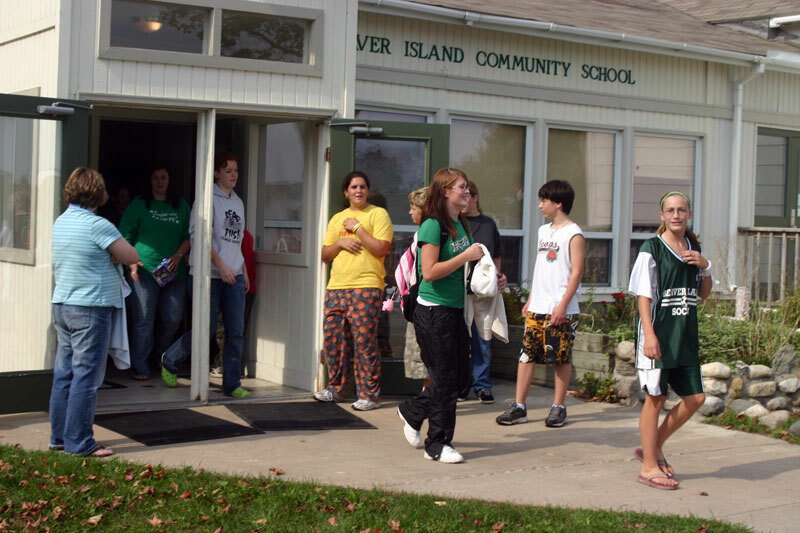 One of the goals of the strings program this year is to offer classes twice a week for all twenty schools, so Beaver Island students can expect to have more instruction time during the week then they have had in the past. 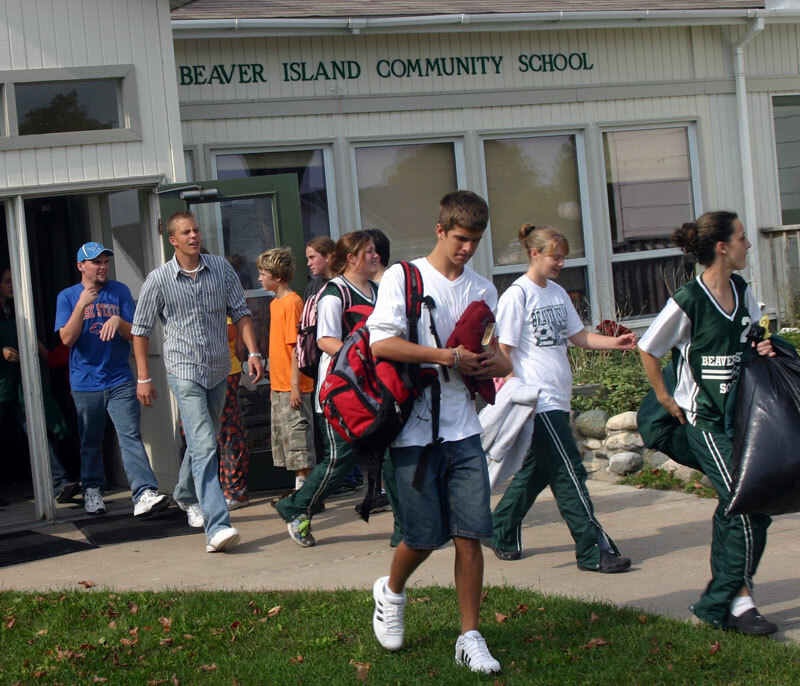 There will be three levels of classes offered at the Beaver Island Community School for beginners, intermediate and advanced students. Parents are also encouraged to join if they would like to learn a string instrument for the first time or to brush up on their skills in the more advanced classes. There is no cost to participate in the class, but students will be responsible for the instrument's rental fees. 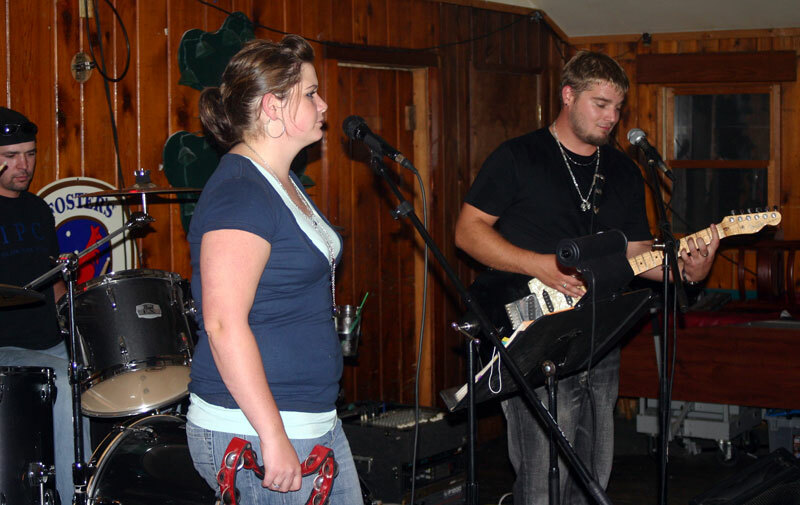 Scholarships are available to cover the cost of the instrument rental through the Crooked Tree Arts Center for students that may need financial assistance. For more information please call the Crooked Tree Arts Center at (231) 347-4337 or by email at robert@crookedtree.org and jennifer@crookedtree.org . 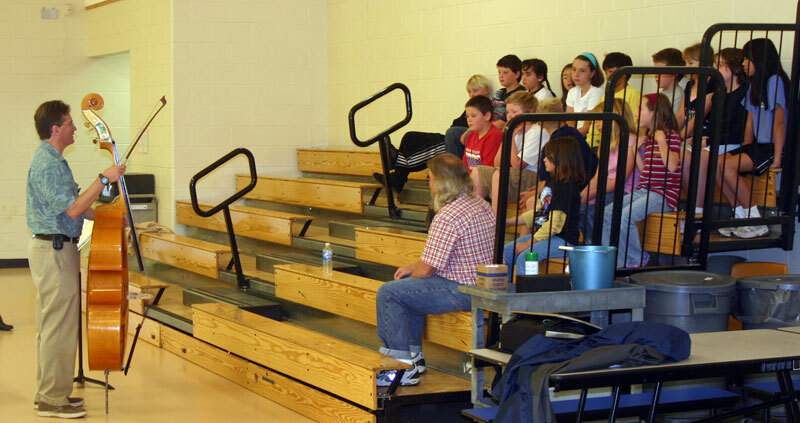 Demonstration to grades 7-12 took place next. Kathleen McNamara with our new strings teacher and Mr.Dudd. As a surprise for all, Alex came down to demonstrate the Irish fiddle playing that he is so good doing. 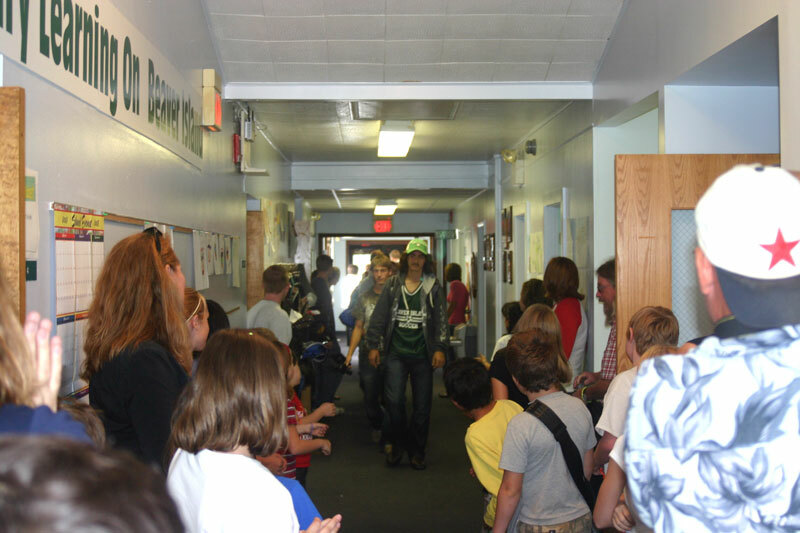 With a hallway cheer, the volleybal and soccer teams were off to play the Obibwe Charter School near the Soo. The soccer did very well this weekend. There was no doubt that the team would come away victorious however, I was EXTREMELY pleased with the way the team handled themselves both on and off the field. Ojibwe fielded a team of mostly middle schoolers and many of their players did not have a great deal of experience. The Islanders showed true sportsmanship. They were gracious and understanding. The coach of Ojibwe was overly thankful to our players on our mannerisms and kindness. The final score of the game Friday was 8-1 with a two players receiving their first career goals. Goals: Jenna Battle (1 st career), Cameron LaVasseur (1 st career), Eric Albin (2), Brenden (2), Ryan (1), and Kristy (1). Assists: Jenna Butler (1), Eric Albin (1), Bryan (1), Cameron (2). Jake Drost and Bryan Timsak both shared time in goal. Unfortunately, due to weather the game Saturday morning was cancelled. However, I am very proud of the team for their graciousness towards a team with a growing program. 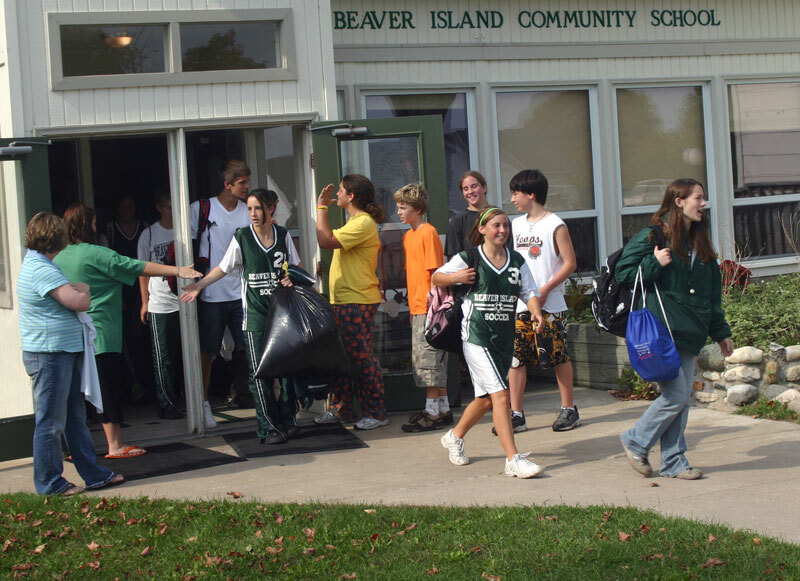 The team represented Beaver Island very well and we should all be proud. For the next two weeks the team is working very hard with one goal in mind… beat Mackinac!! With the change of events in the tournament schedule we are going to have one shot and one shot only to beat them. But in order for us to do so we need to work hard these next two weeks on strong defense to contain the speedy forwards of Mackinac .